Bloomberg did not prepare/test hospitals as part of city's emergency plan. Why no mention of this city hospital not having power? NYU Langone being shredded new a-hole for no preparation. But it rolls up to mayor's emergency disaster plan. Not news worthy and The NY Times has been acting like Christine Quinn's campaign manager but the only hospital that had a back-up generator that worked was Goldman Sachs -- oh GS not a hospital -- we are forced to bail out banks not hospitals. Goldman Sach Mike Bloomberg's best client and a GS guy Christine Quinn's community relations guy that curses out activists with the F bomb and never visited the community as they stood out side locked out by Quinn in the freezing cold to demand a hospital. I was there dressed as Quinn. Just like Term Limits Christine Quinn Locked out her community and flushed democracy down the toilet yet again....no hospital. Norman Siegel in a stirring speech called for an investigation in to the lock-out. Has Hurricane Sandy exposed the largest corruption ever the 911 Tech system called ECTP and also that fact Bloomberg, Quinn, Howard Rubenstein and City Council with Scott Stringer and Amanda the People's Burden the worse commissioner city planning all should have gotten us protective zoning for a hospital only? Cy Vance where is the prosecution of St. Vincent's Hospital crooks? Afraid it would bring attention to Rudin family acquisition? Hurricane Sandy Mayor Bloomberg Schools Open Gov Cuomo Shut Down Public Transportation! Ron Kuby's' attacker wronged Ron Kuby again but too ignorant, weak and cowardly to own up. Let's say I can more than empathize. Hey Ron you and I similar experiences except you did not have in my opinion have a corrupt Det like mine trying to beat me - he didnt use fist just threat false arrest --in to dropping assault charges using a in my opinion false counter complaint which is a criminal act just like assault!!! Both Ron's attacker and mine in my opinion lied about us falsely blaming us ---another type of assault. They don't have an inkling of taking responsibility for their violent actions which started with aggressive inappropriate verbal attacks. Cowardly to blame the victim. My video of attack shows her threatening me bodily harm at md office than attacking me key on wrist a weapon? Shoes thrown r they a weapon? Everyone I know is stunned by how I was assaulted. Today teased about being eaten by alleged corrupt Det. Not funny. Believe this guy wronged Kuby yet again. You might not agree with Kuby but he did not deserve this. If anything Kuby compassionate. This guy wronged Kuby. NYPD Cannibal Cop 100 Women to Eat and Murder? Ron Kuby letter priceless a must read. Activist from Occupy Wall Street organized a demonstration and teach-in about the burden of debt. There is Deputy Inspector Winski from the First Precinct. Young NYPD PO forefront in is putting on his gloves. The NYPD were there monitoring the event. The activists published and distributed The Debt Resistors' Operations Manual to help People get out of debt! German Mag photo editor contacted me for permission to use a photo of Giuseppi Logan for an article they are doing. Of course I said yes. Signal to Noise Magazine did the most beautiful piece "Out from the Shadow' (not on line but really fully recognized my work and the British film maker that made the footage in Tompkins almost 50 years apart -- our footage -- same park --- haunting -- especially because I have my own footage of Giuseppi and Jaee re-united for the first time in Tompkins....and than came The New York Times Piece. Very touching --- It is great to do my work and also to know I have done good deeds especially in the face of just a terrible wrong doing, being viscously assault by an MD's receptionist and she and MD refuse to take responsibility so this email asking for my work which also help Giuseppi Logan is a beautiful gift this am. (This is an open police investigation. 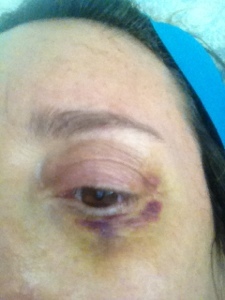 http://youtu.be/dh9TedhfthE I am writing you with a fading black eye from last week shocking and wrong assault). The NY Times recently gave me photo credit also-- image from a YouTube and I just was interview this weekend by a NYT reporter although I have to keep mum on the topic. The article should be out in 3 weeks -- it is not Giuseppi Logan. Suffering from lack of sleep extra bad due to the assault happy to share this news. Andy Cuomo did not cut corruption and cronyism. Bloomberg administration historic levels of corruption starting with tech contracts but Albany as well tragic because if wasn't so corrupt there would be no cuts State or City but so much thievery and cronyism. I had extremely bad insomnia.